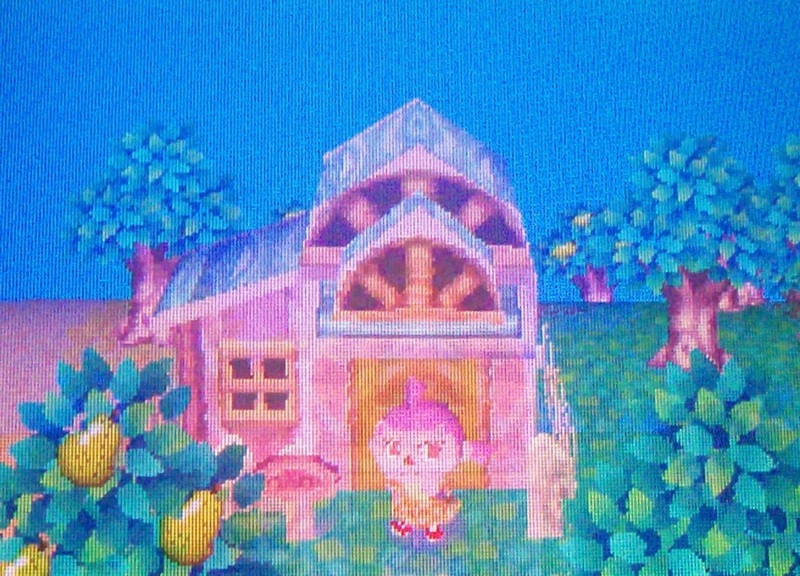 Isn’t this house pretty? I found it randomly when resetting one of my extra gamecards. 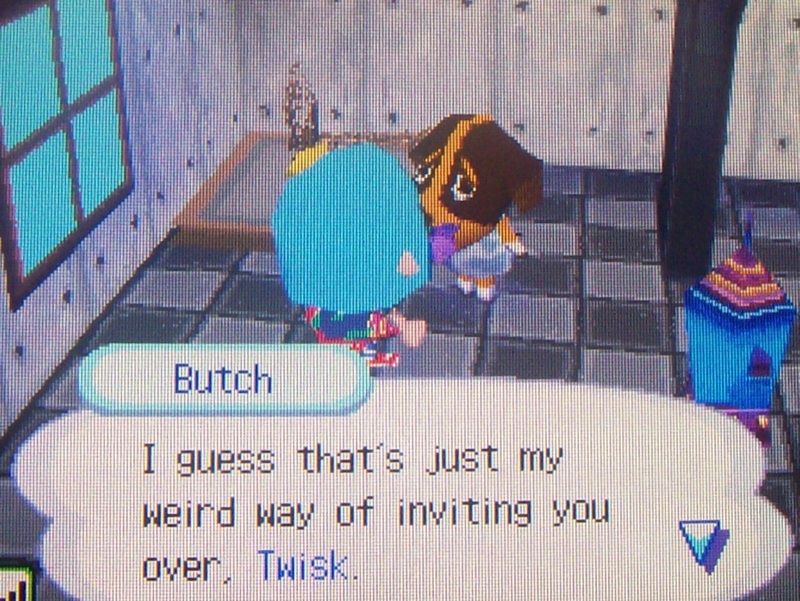 It’s a Static’s house, and each villager always has the same, specific house shape… I have a Static in my town too, and also have this house style in my town, but he chose one of my town’s other house styles instead. 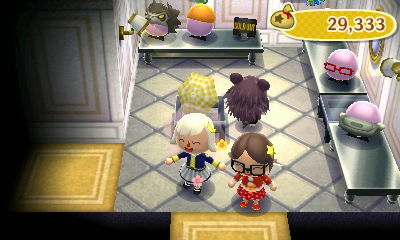 >_< So no pretty pink and blue house with double wooden fans for me. …a WiFi meeting with Jemma this morning in her town usa! 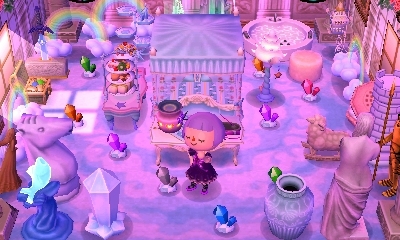 I wasn’t expecting any gift exchanges since this was a pretty spur of the moment, short-term notice WiFi, but she gave a surprise gift of several items and a purple rose! Thank you so much, purple roses are beautiful and always a help towards my pursuit of growing my first blue rose. 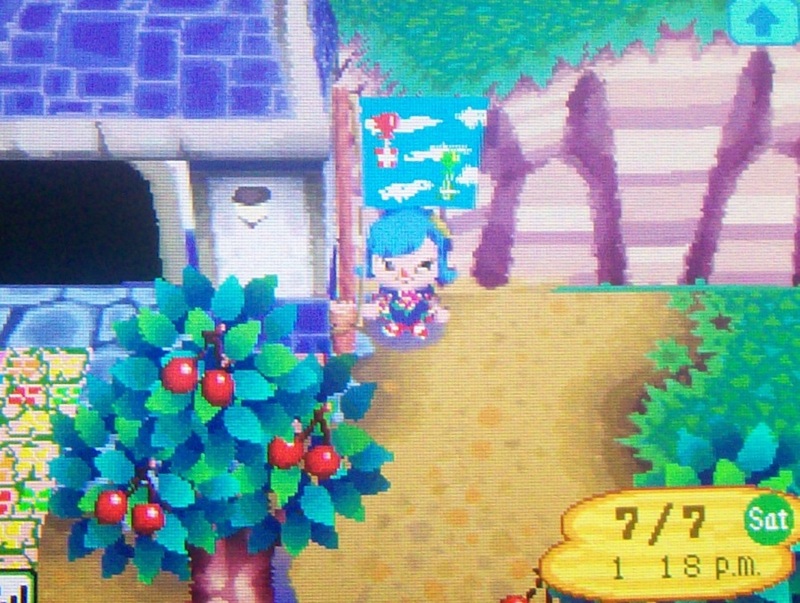 This balloon present flag is adorable! 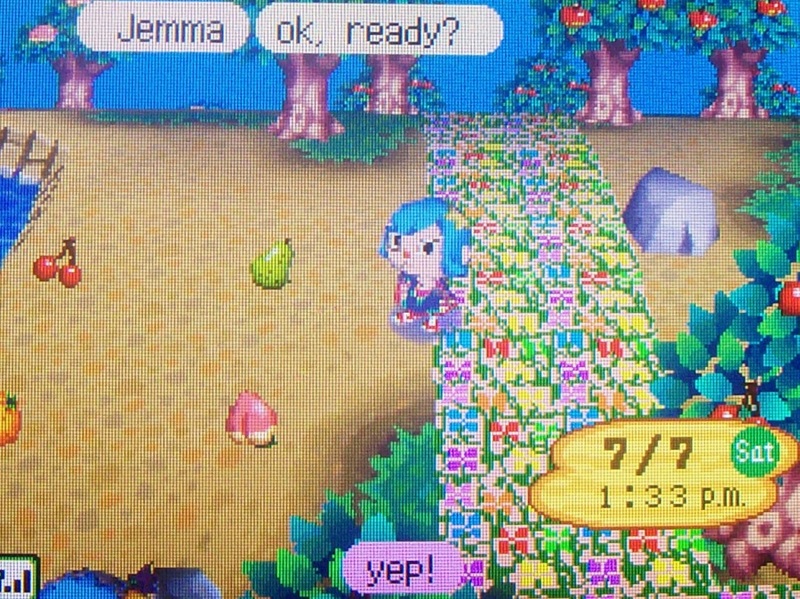 I thought Jemma’s outfit was really cute, with her blue pigtails, green eyes, colorful polka dot shirt, rose in her mouth, and dandelion in her hair. While she was preparing a game for us to play, I tried to get a full picture of the gate. But it’s not very good, you can see a reflection of my camera in the black. 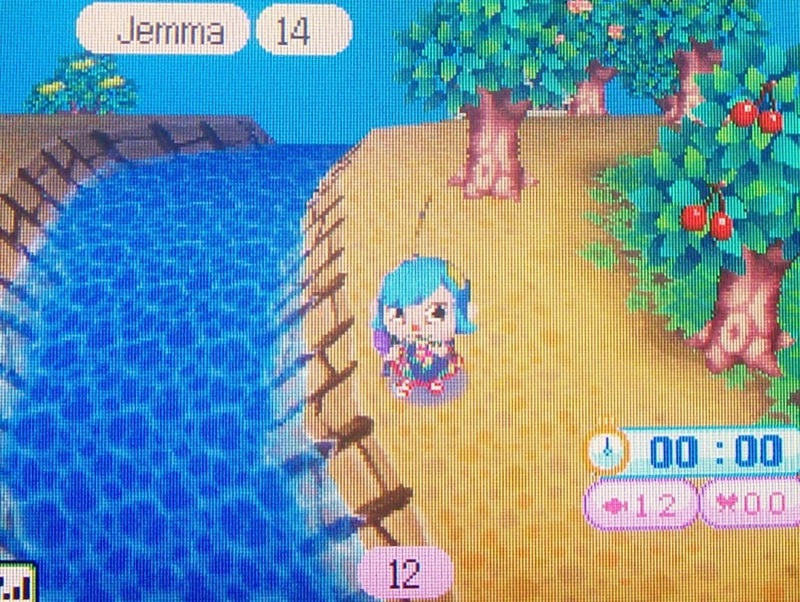 I suggested a fishing contest to see who could catch 20 fish first, but with 3 minutes left on the timer and ~10 fish left to go, we were nowhere close. xP So it turned into a contest to see who could catch the most fish before the time ran out. 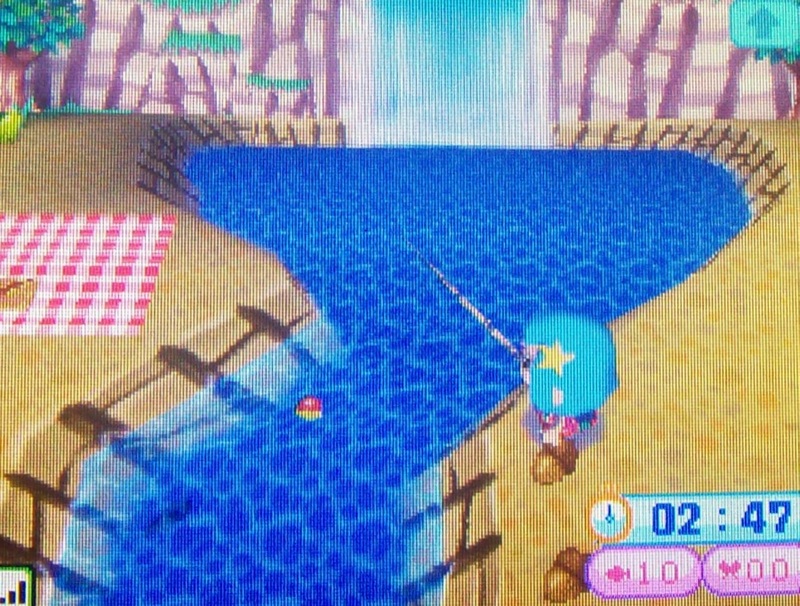 I think those are the classic AC fishing contest rules anyway, though there can be variations, like who can make the most money off their catches, etc. 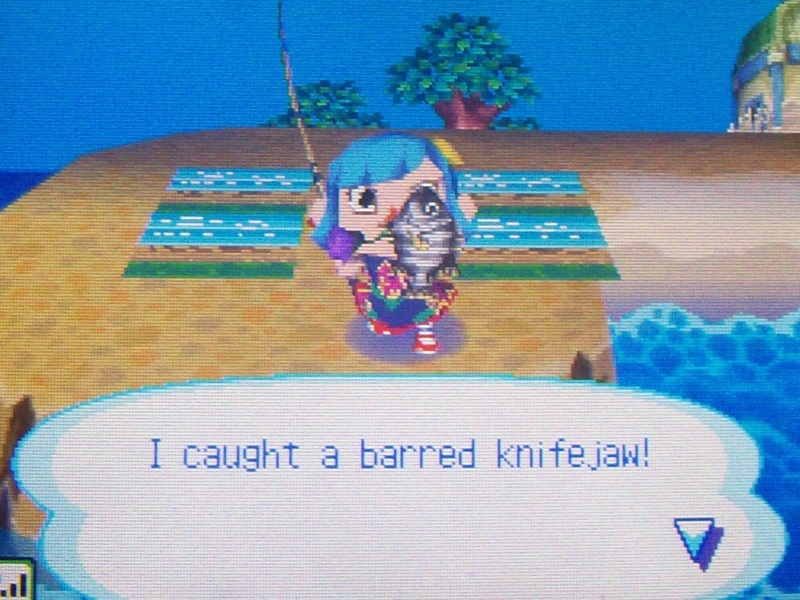 I was hoping to see a finned fish, but these are good catches too. 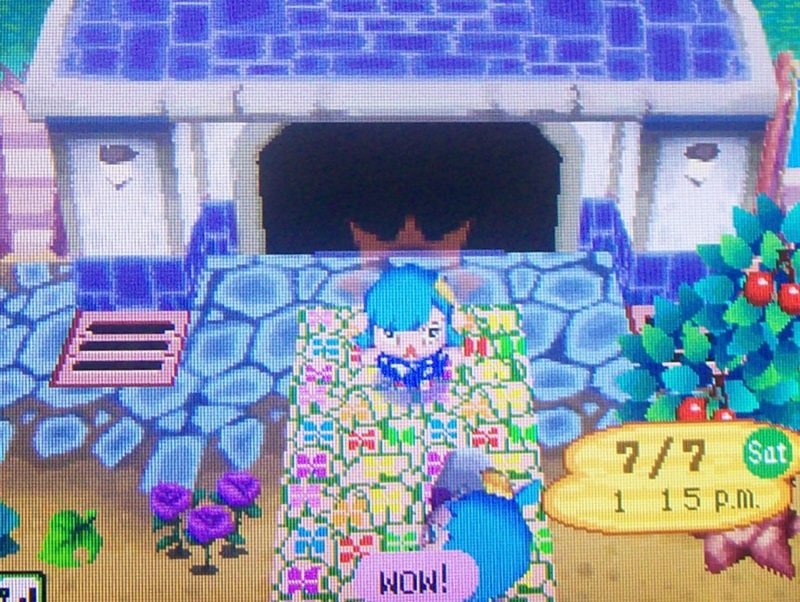 We did a bug catching contest next and I was able to win that one. 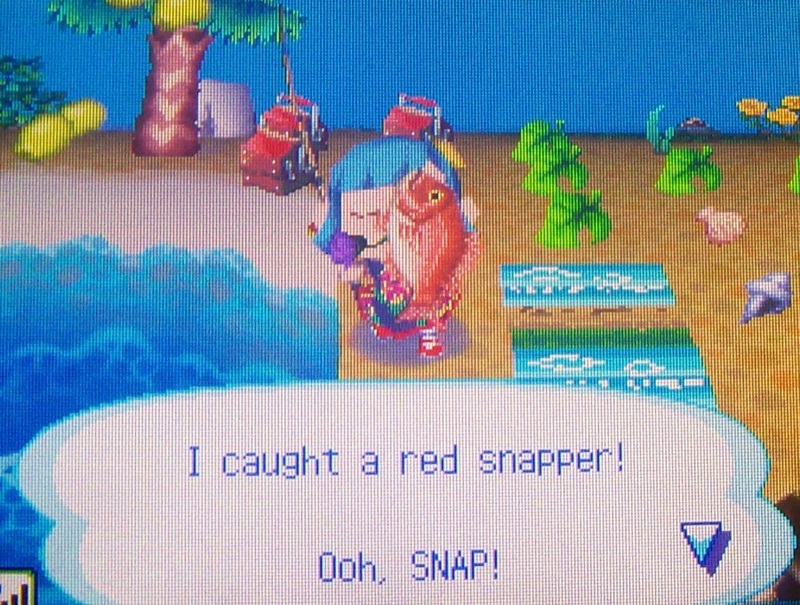 Catching bugs was easier and more exciting than fishing, but they aren’t usually worth as much. 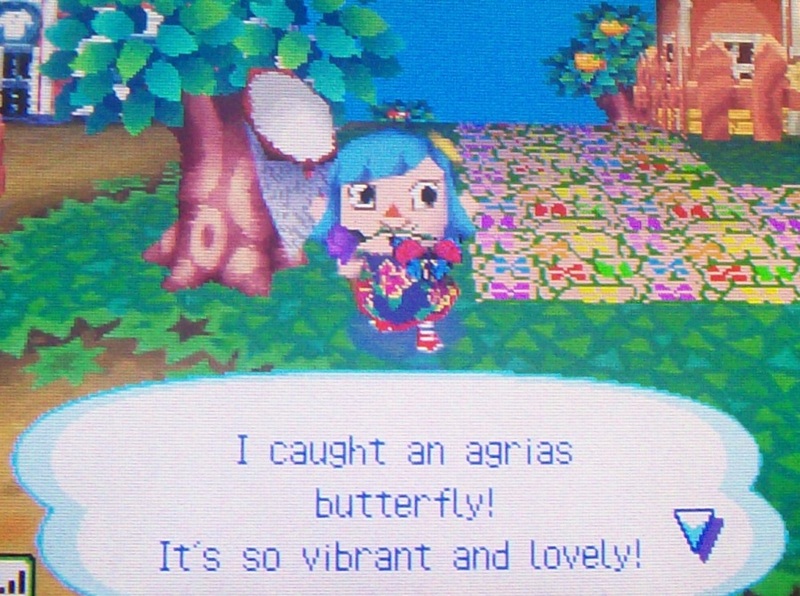 This agrias butterfly was the rarest I saw. 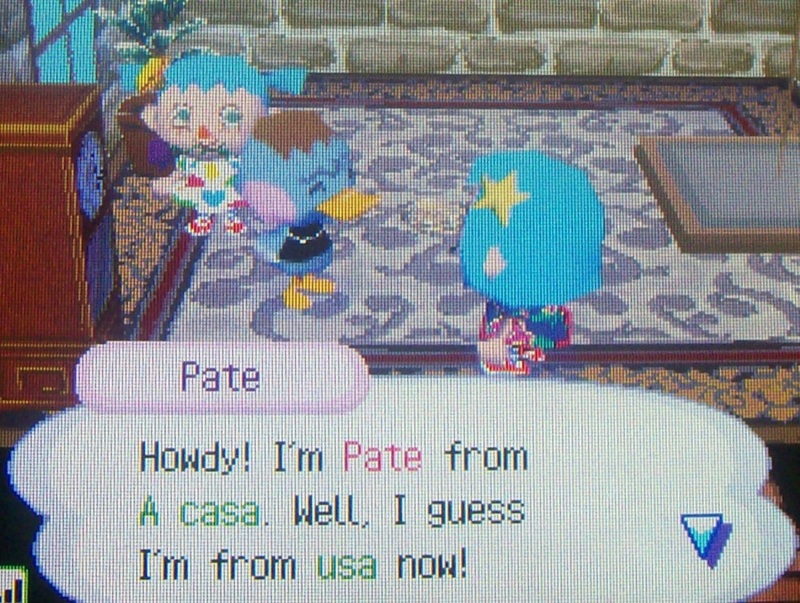 After taking a look at usa’s map and seeing all the awesome neighbors she has, I asked to go visit them. First we visited Pecan, she’s one of my favorite snooties! 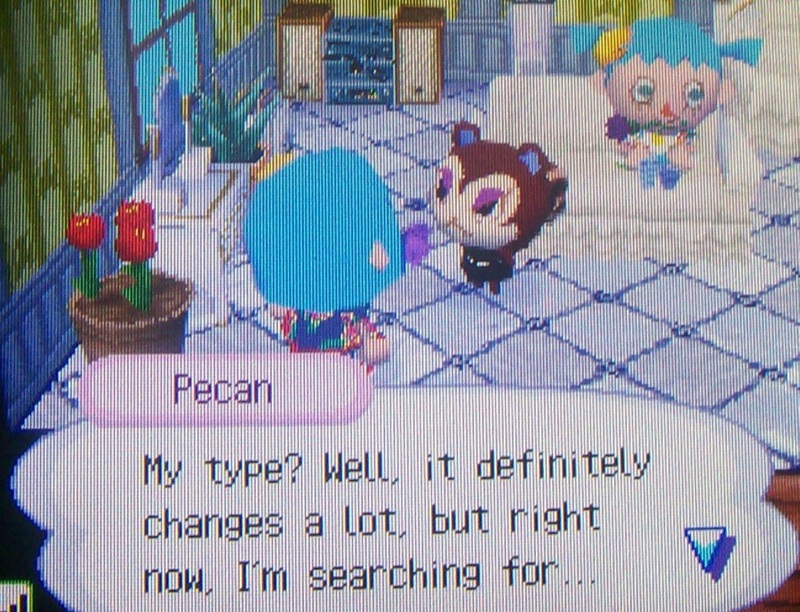 🙂 I want Queenie or Eloise for Dafdilly, but back when I was thinking of maintaining a second town (see my very first post >_<), I wanted Pecan to be the resident snooty there. 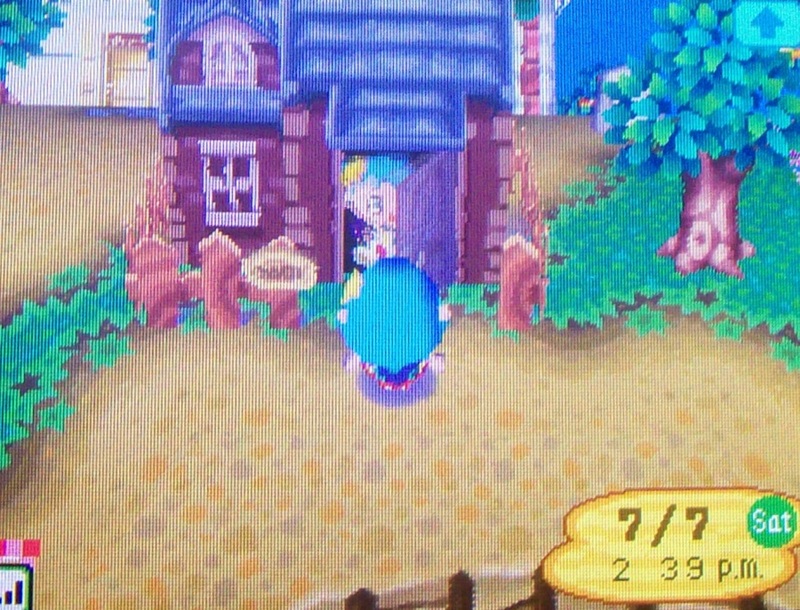 Her house is nice and looks close to the original decorations, maybe she’s a bit newer? What? I see stuff in there! 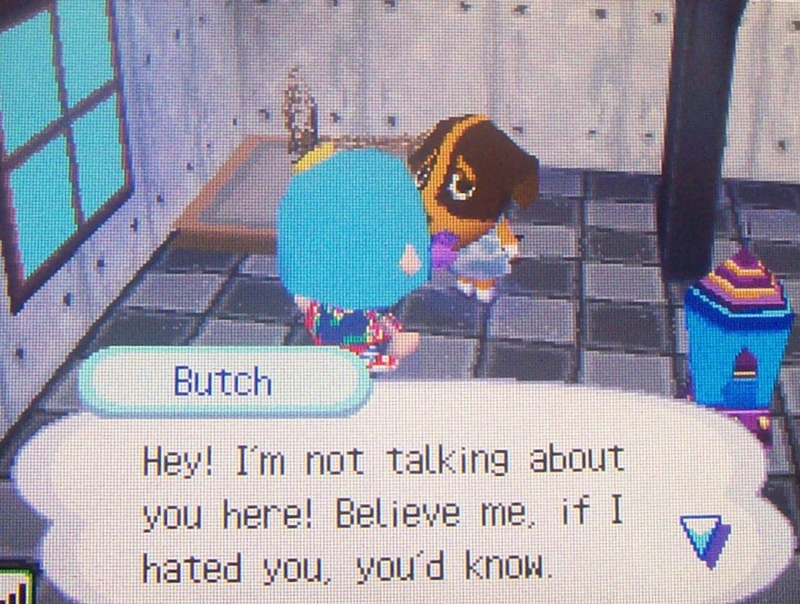 Aww, seeing Butch makes me nostalgic a bit. 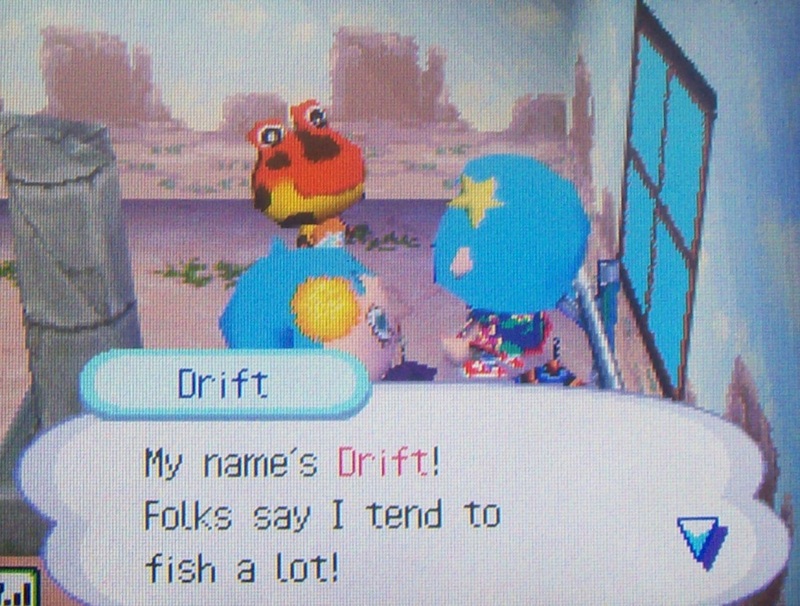 He was one of my first neighbors in my first Animal Crossing town on the GameCube, and I talked to him a lot. 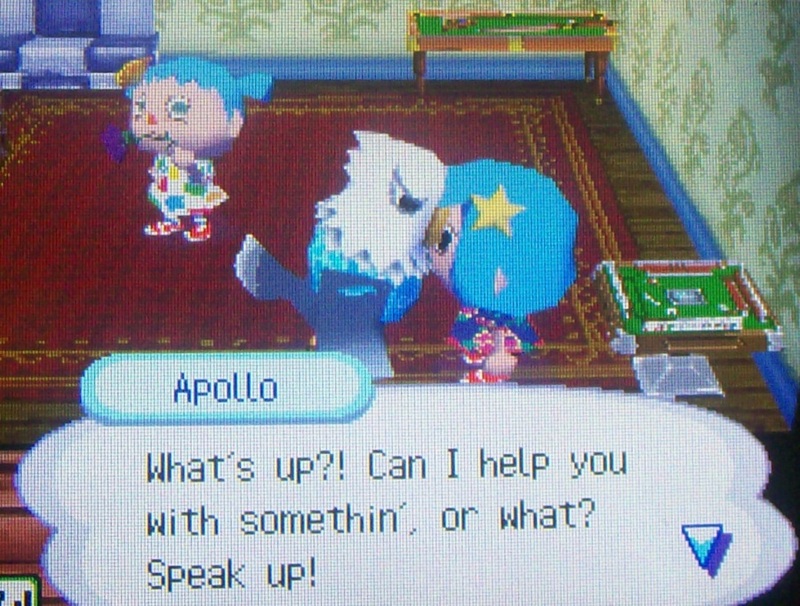 But he warmed up to me quickly… we just met Apollo! 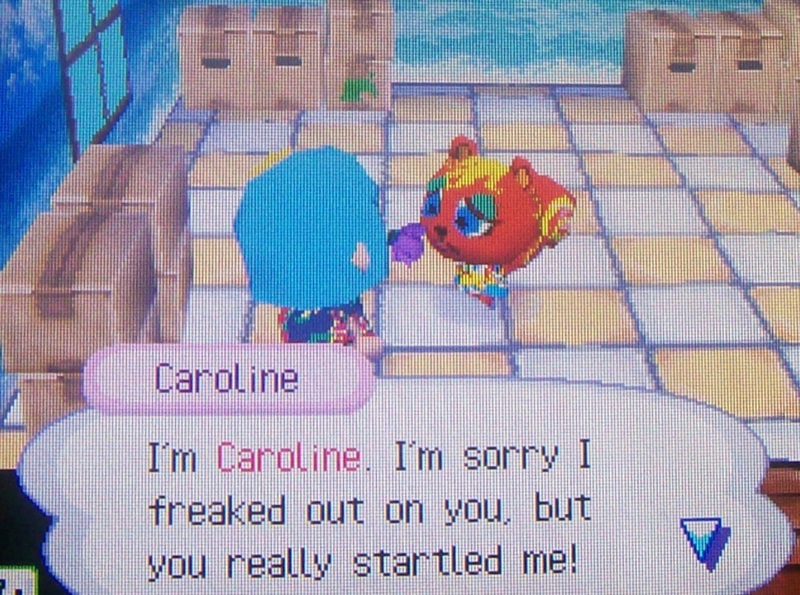 Caroline is so bright, vibrant, and colorful — even her shirt is, I love it. She’s packed up but hopefully Jemma convinced her enough to stay, good luck! My low battery warning light had been on for a little while, and I wasn’t sure where my charger was. 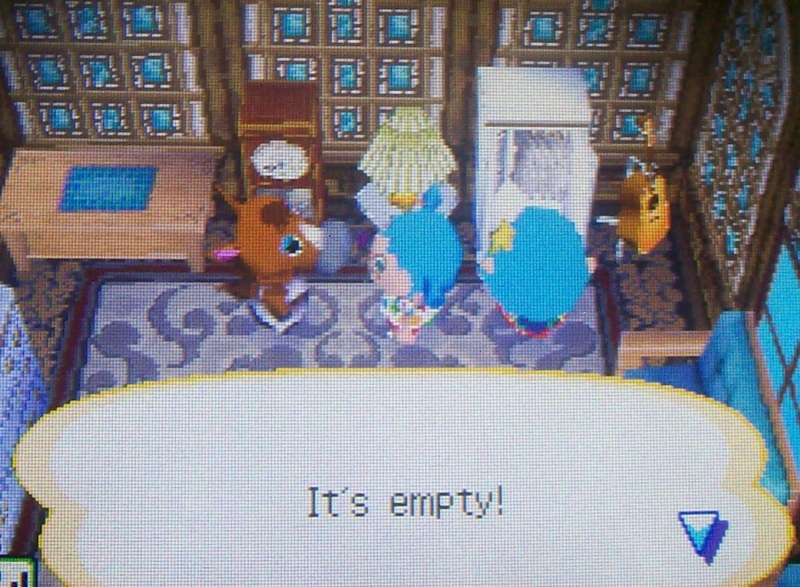 >_< So I thought it would be best to leave in a normal way rather than the power randomly shutting off and ending communication… but I would have loved to stay longer. 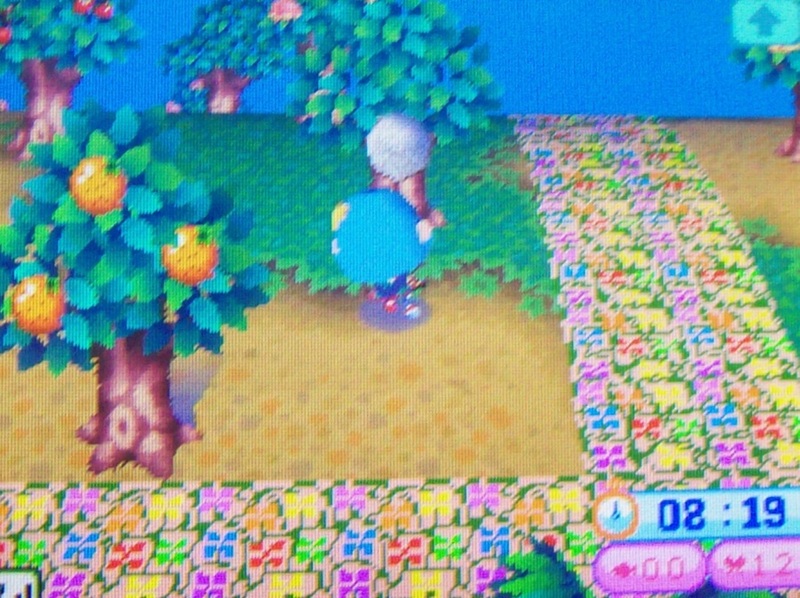 Posted on July 7, 2012 by Amy •	This entry was posted in AC:WW, AC:WW WiFi and tagged Animal Crossing. Bookmark the permalink. Hey Amy! 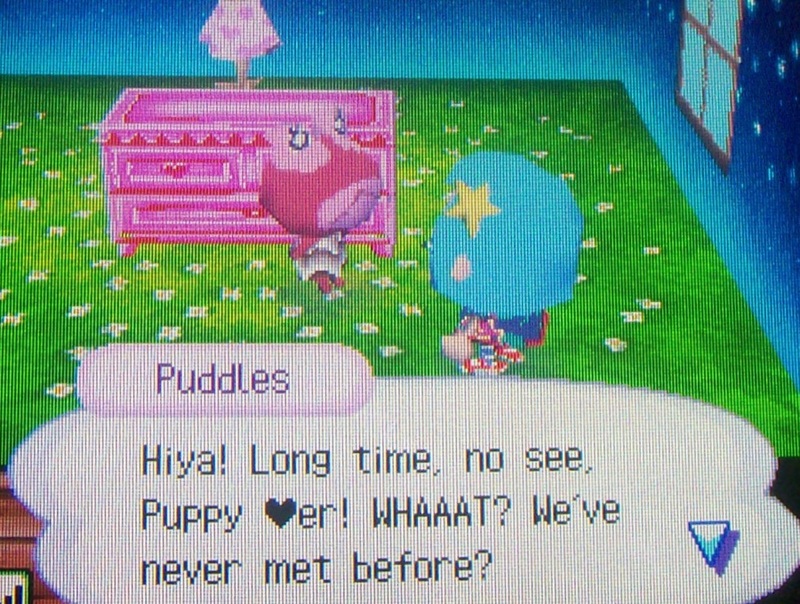 I bet you don’t even remember me! 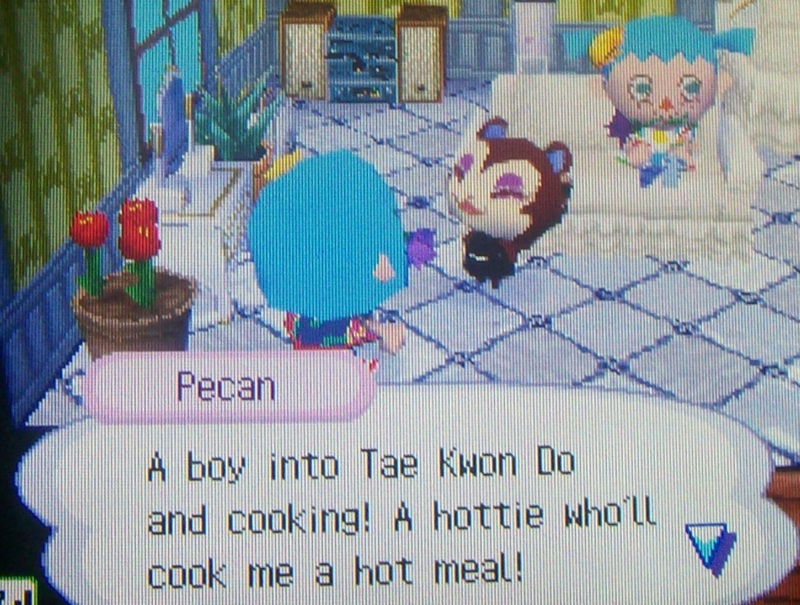 Heehee~. Hey! 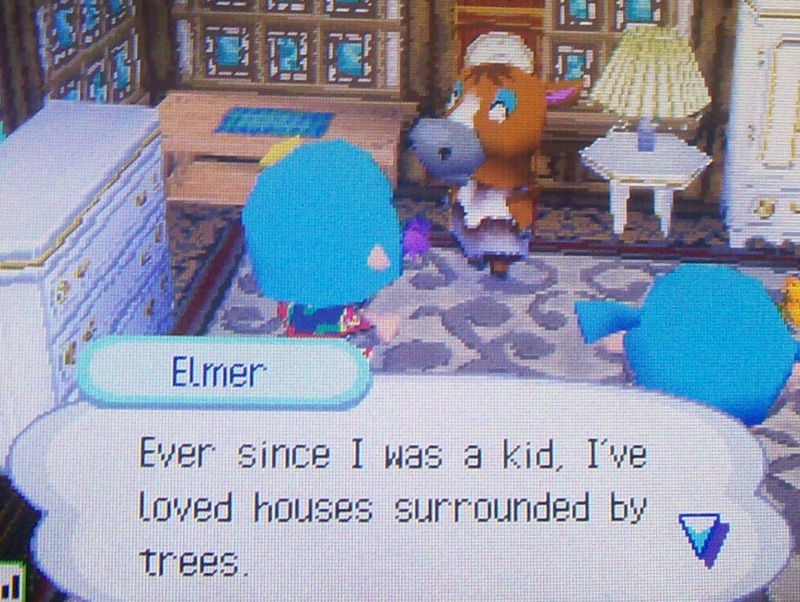 No, I remember, it wasn’t all that long ago. 😛 That’s great news, I’m glad you’re coming back! so you definatley deserve one* . 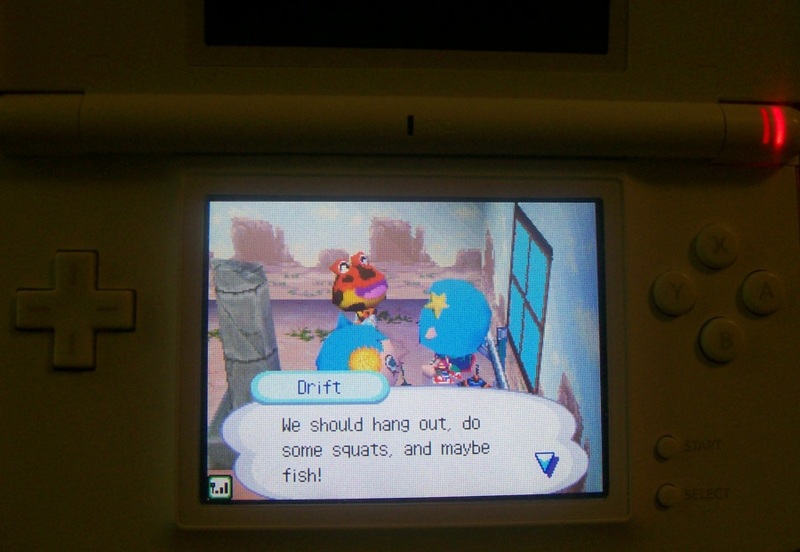 Do you mind me asking what you used for your…uh…whatsit called….the…Oh! Header 😆 ! ? Wild guess here…was it paint.net ? I used Photoshop, but I’m sure you can probably do the same thing with GIMP and other editing programs. 😆 I had to use this because your comment doesn’t have a “reply” button to it >.<! It's funny because I was going to say Photoshop first, 😆 . Yeah, my comment settings only allow for threads to be 8 comments deep so that the area for the text doesn’t become really tiny and make the comments too long. But you can continue replying to the last comment with the Reply button an unlimited amount. 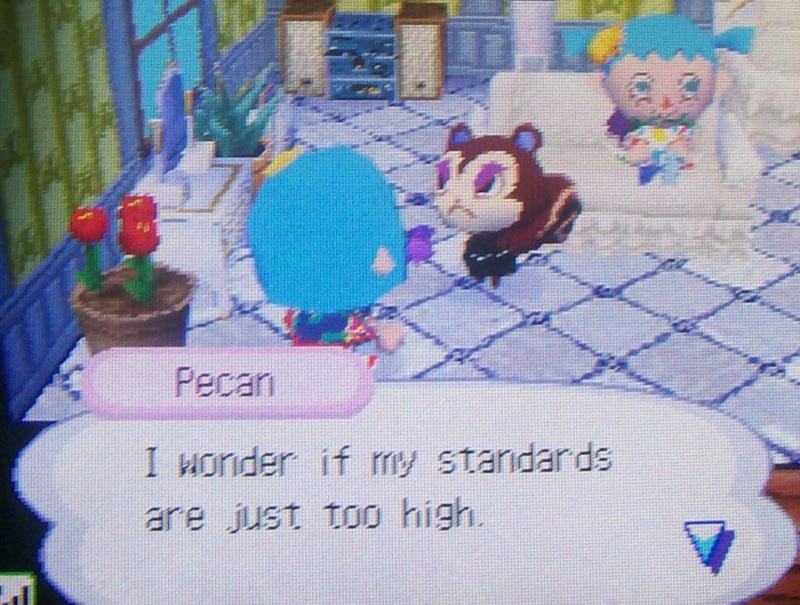 It depends on how good AC:3DS is and how busy I am with other things, I suppose. 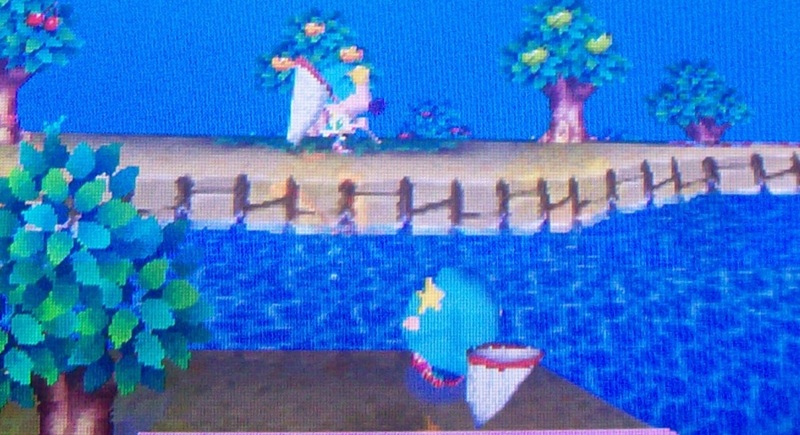 If it surpasses AC:WW to the point where I won’t miss playing AC:WW from playing AC:3DS (and it does look really good in the latest trailer), I could see that happening. 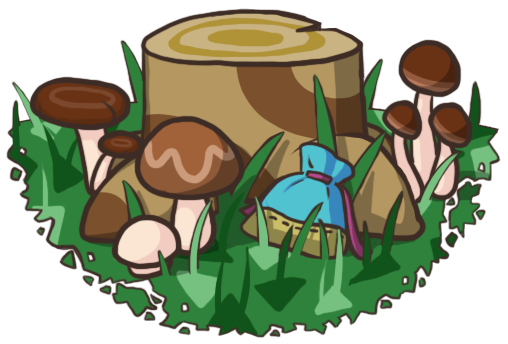 But if the new features turn out to be too complicated or too much work (like the grasswear feature is in AC:CF for me), then I may prefer the simplicity of AC:WW. I’m getting MORE AND MORE excited by the day! 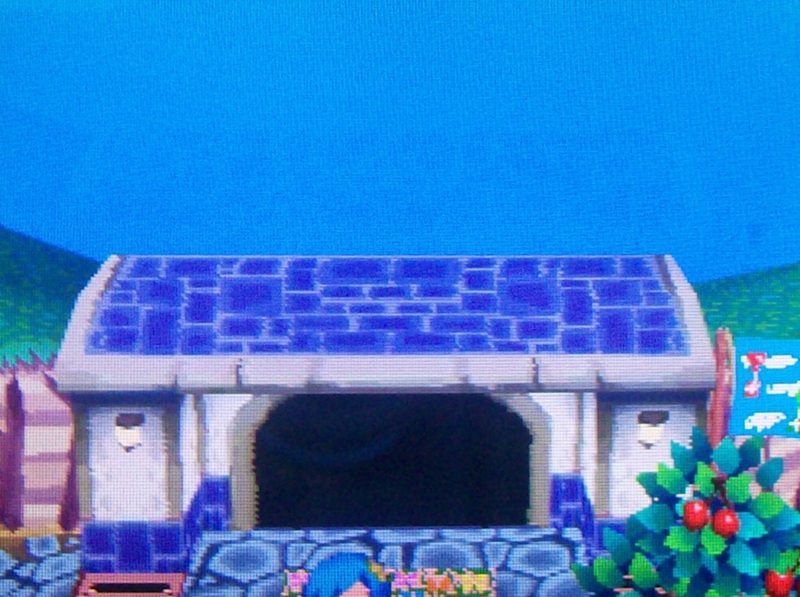 I always imagined Tortimer would retire, I can just see him saying something like “I’m getting old and my shell isn’t what it used to be, and my back hurts… I’ll just sit in my massage chair all day.” xP (As if that isn’t what he did before, you can see him snoozing in the town hall all the time :P) But I never thought of an election, that would be really cool and exciting (even if you’re guaranteed to win)! 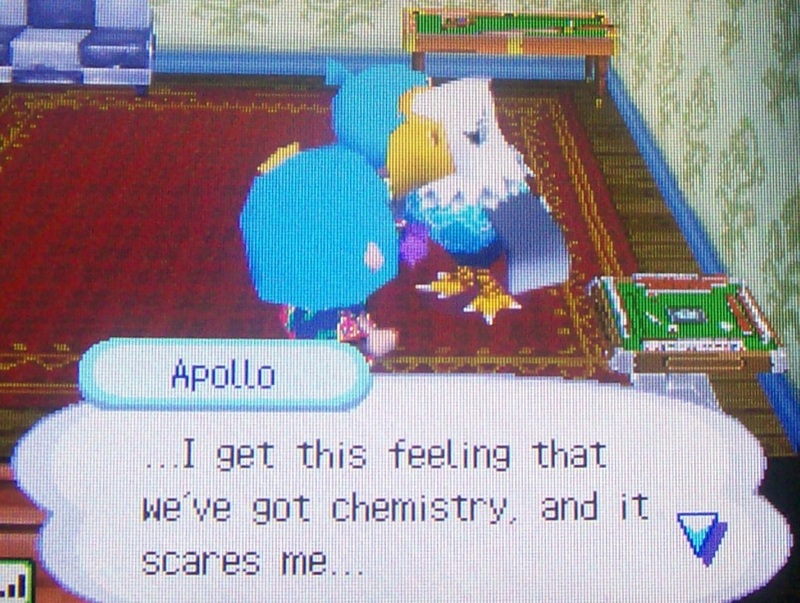 I’ve been hearing that AC3DS is coming out next month!?!?!? Do you know if thats fact or rumor 😕 ? I’m like, on the edgeeee of getting wifi but this always happens -___- Have you had this problem before? If so, how did you fix it? Aw, we missed you too! 😦 I hope your DS turns up soon and good luck with your assignments and drawing! 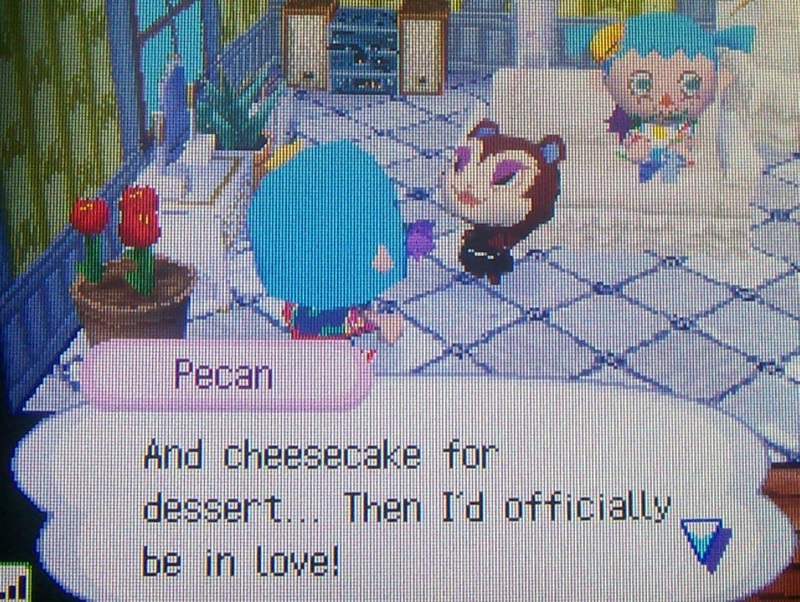 😆 Yeah I know I was just joking :p .
I deleted it because It’s not that important & I’ll just look in my wii package to see if I can find the code 😉 . 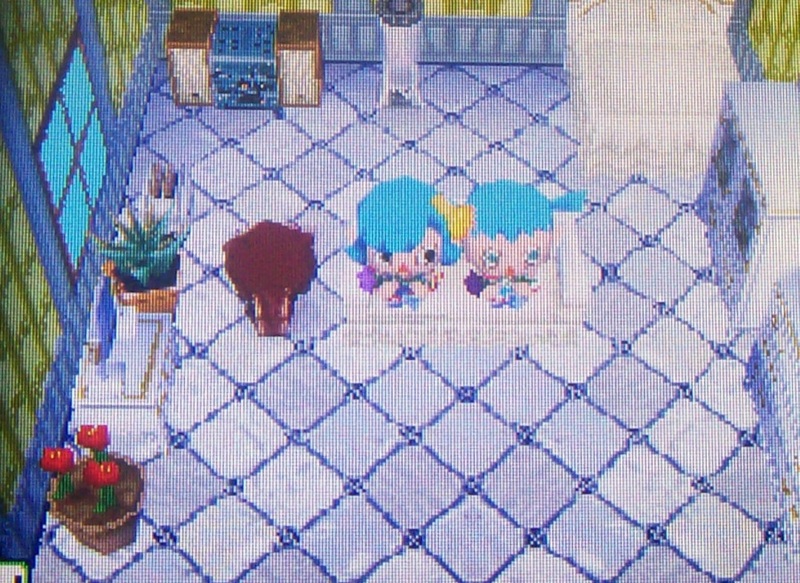 We absolutely have to organize another wifi meeting soon, hopefully with 4 people! 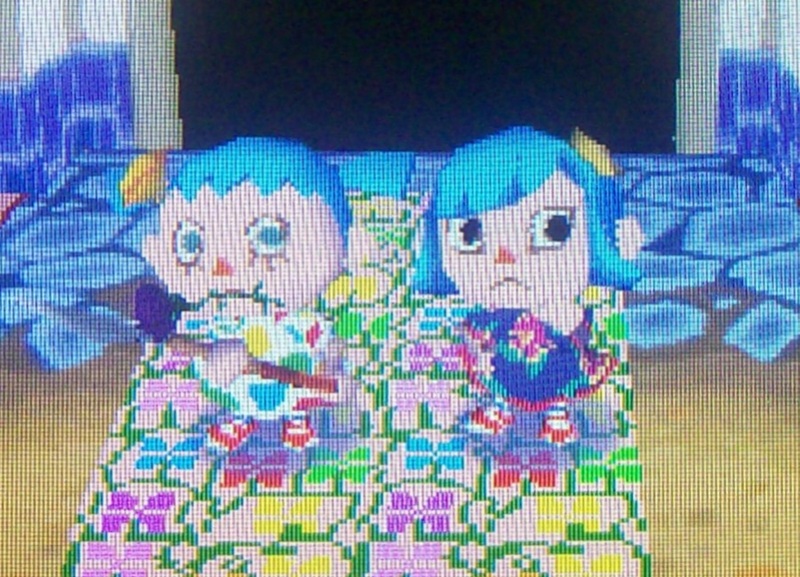 I had a great time too, your town and neighbors really are awesome! 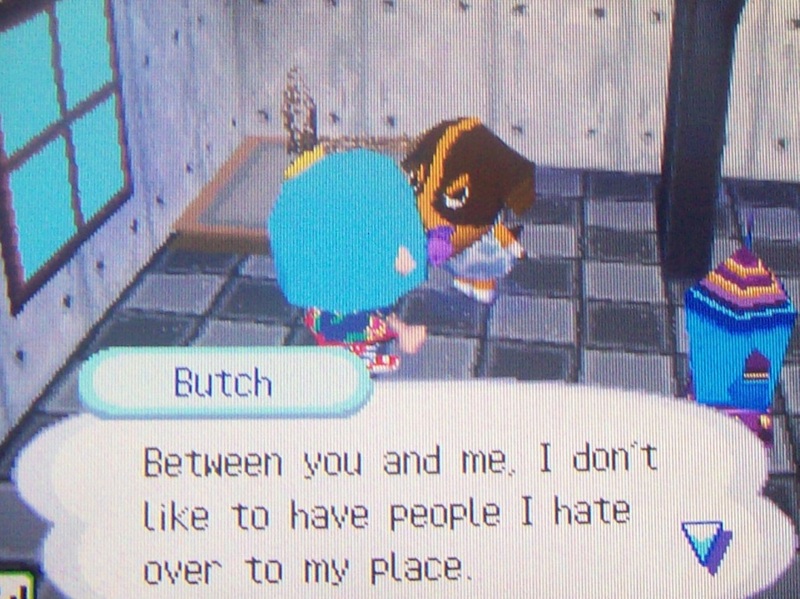 I guess that’s a bonus to keeping a town for a long time rather than restarting; after a while you start to get more and more of your favorites until most of your town is neighbors you like. I’ve collected several of mine too. 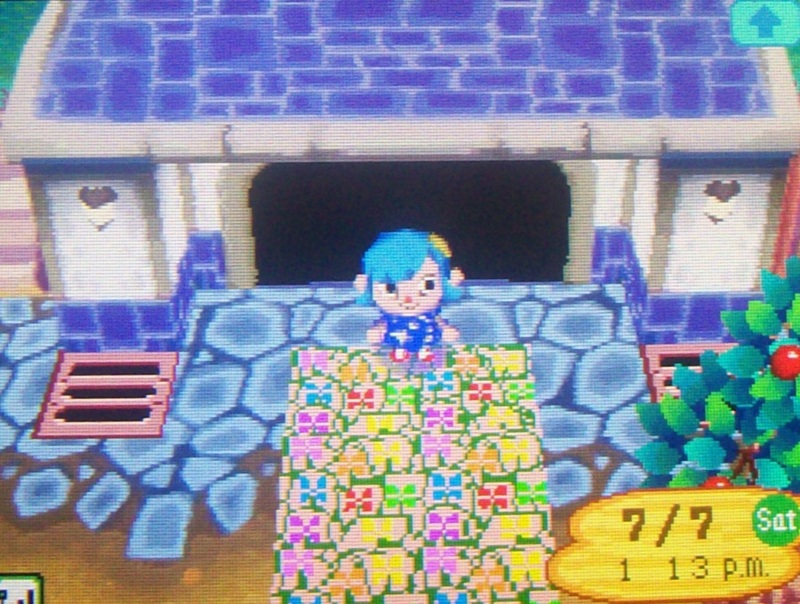 Yeah, I hope I can finish re-landscaping sometime in the near future and have you guys over! Yep, I’m here. 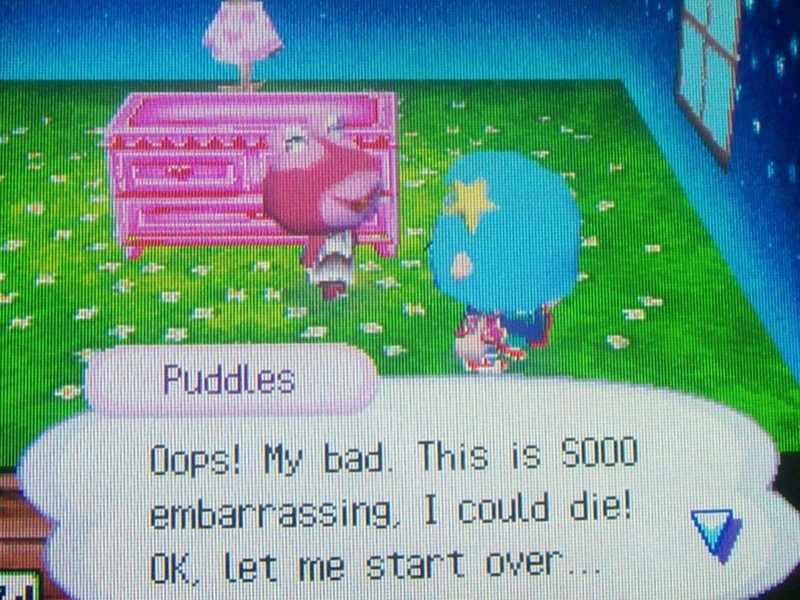 I know I haven’t posted in a while; at this point I should probably make another announcement post saying I don’t have a lot of time or motivation for Animal Crossing right now. Hey Amy! I really hope vacation is going well, mine is except for one tiny thing, can you check you e-mail please, I really found it was necessary to tell you because I don’t know what to do and you may know something about these sorts of stuff, thank you so much, I really appreciate it! 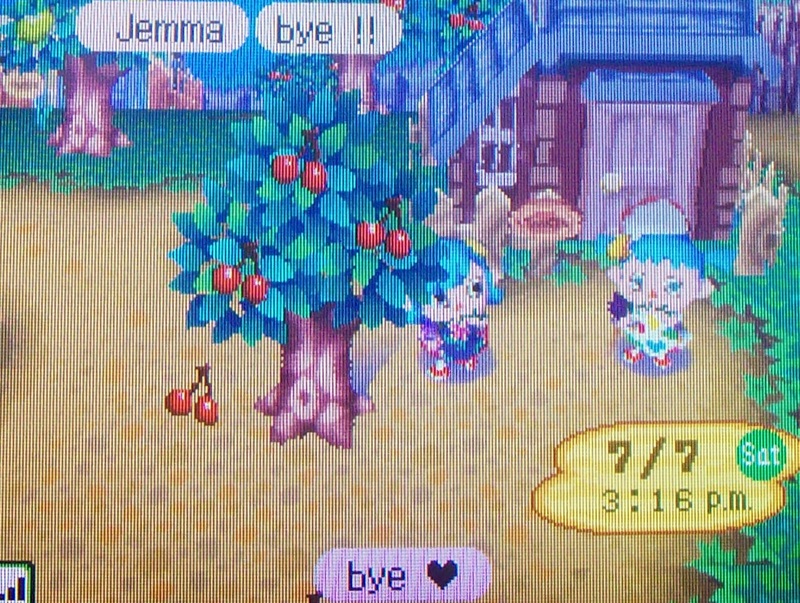 Hey Jemma! I responded via email; sorry if it was not quick enough, I’ll be more diligent about checking it these next few days. I hope everything can be worked out soon and that meanwhile you’re having a pleasant vacation!